Haha! This is a present for yall on friday 13th. The drow! 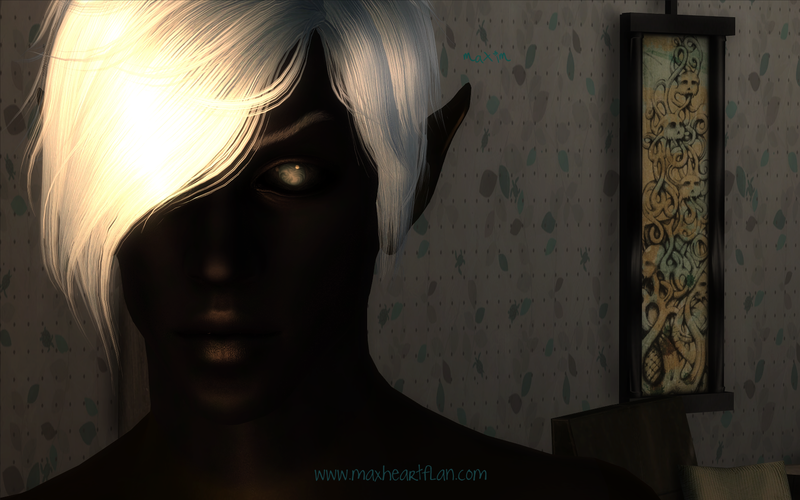 I remember someone requested the drow elf. 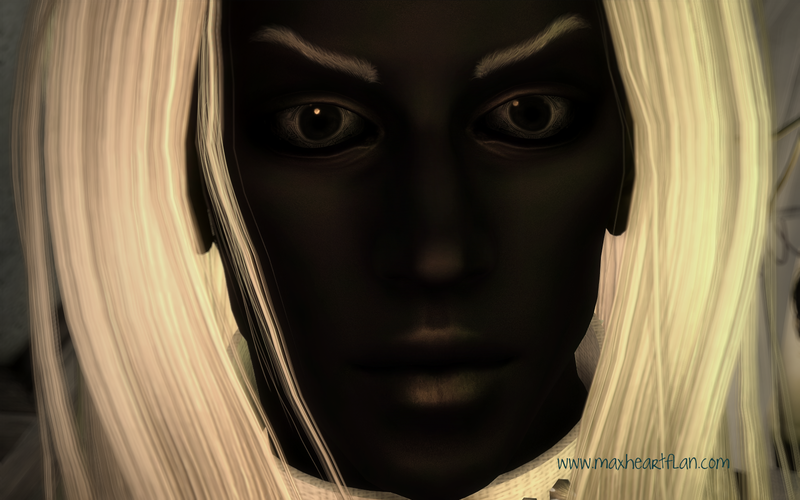 I was hoarding these beautiful Dustin's drow textures on my hdd for a hundred years actually. And since I got a esp from him finally, I thought, why not to share. Whaaat! My tester boy thinks just the same. Besides showing off the race, these screen shots are showing to my baby the result of my slooooow process of decorating the Clutter House. This is the second bathroom, I surely have showed the first one to you! I mean Dustin. Hellow there sweetface! His name is Morvus. He can be yours as a partner, and he surely can be yous too. Robert's male body ver5.2 scrawny, Robert's female 1.3. Finally, the special occasion eyes - super aroused! The race and the companion got different basic faces. The drow companion Morvus is located in A Warlock's Luck shop, Bravil. Well, this is not the most informative description ever. But I am so sleepy. :( For more information, there's a readme inside the mod folder. Reading the readme is required for this mod to work. This mod is not a resource or base for anyone else's creations. The mod stays here, @ maxheartflan.com. Feel free to send us pictures of your characters you've made, it is always appreciated a lot. Wow, I've seen other drow races out there but this one is far better than any! The body texture is just awesome! Very neat! thank you max, for sharing this guy! i'm sure you've been itching to get these drow textures out there too, i am so bad at uploading my stuff for the public. you've done an amazing job with the new rooms in the clutter house, looks so good!! Those pj's just kill me! I decided I had better bookmark this site since you keep coming out with good ones. Thank you SO much for posting all of your beautiful races, you've made my game so much more enjoyable! I really appreciated all your hard work! Thanks again! Loving your work. Especially them Troll Face PJs in the first shot. XD Nice!